Who is Love Luxury by MoneyMax? Love Luxury, by MoneyMax is the preferred shopping destination for a wide variety of pre-owned luxury timepieces, leather bags and fine jewellery. Offering quality products at exceptional value, the brand has become synonymous with trust, competitive value, and excellent customer service. MoneyMax is a leading pawnbroker, retailer and trader of jewellery, pre-owned luxury bags and watches. Since establishing the first store in year 2008, the Group has evolved and expanded its reach to over 61 stores in the region, making it one of the largest pawnbroking chains with a presence in both Singapore and Malaysia. A forward looking and progressive brand, MoneyMax will continue to lead and drive the industry. Unfortunately, we do not accept reservations. We constantly source for new products and cannot guarantee that items sold will be restocked. Purchase what you covet before it gets sold! Can I view the item before I purchase? Yes, you can request to view the product at one of our Love Luxury by MoneyMax boutique stores. Please email our Customer Care Team at mmeshop@moneymax.com.sg for any requests. Are all your pre-owned luxury items authentic and in good condition? At Love Luxury, by MoneyMax, we assure 100% authenticity for all pre-owned luxury items. All products sold at our retail boutiques and online shopping platform undergo strict reviews by our experienced valuers before they are put up for sale at our website. Items are also cleaned and restored to ensure that our items look as good as new. Why are your prices lower compared to branded boutiques? Love Luxury, by MoneyMax secures our merchandise via overseas import, auctions and consignments. As we offer these items to you via an online platform, lesser cost is incurred and this allows us to offer lower prices compared to other boutiques! All payments can be made via the PayPal platform. You can opt to pay by credit/debit cards without having a PayPal account if you are not a registered user. Please note that Love Luxury, by MoneyMax will not reimburse any fees imposed by card-issuing banks. Setting up an account with PayPal is fuss free! 1. Safe: Shop without sharing your financial details. 2. Fast: You can checkout in a few clicks with no need to type in your card details. 3. Easy: All you require is an email address and a login password to make payment online. What if I face problems paying at checkout? 1. Check to ensure that your card information is correct. Eg, expiry date, card type, billing address. 2. Make sure that you have entered the security code (three digit number on the back of your card) accurately. 3. Check with the issuing bank if your payment is declined. If you still face problems, please contact our Customer Care Team at 6812 2740, or email us at mmeshop@moneymax.com.sg. Is my personal information secure when I make payment? At Love Luxury, by MoneyMax, we want to make your shopping experience easy and comfortable, and have taken measures to guarantee all orders placed with us are secure and safe. We have utmost respect for your personal information and assure you that it will never be released to a third party. Once your order is shipped, it is securely insured from our door to yours. All credit and debit card holders are subjected to validation and authorization by both us, and the issuing bank. In the unlikely event of receiving a defective item, or a missing product, kindly contact our Customer Care Team at 6812 2740, or email us at mmeshop@moneymax.com.sg for further assistance. How are my items packed? 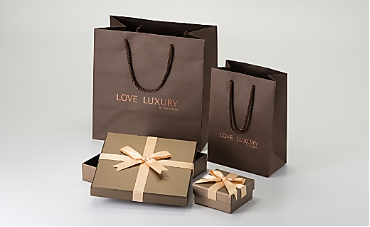 All items purchased via our Love Luxury by MoneyMax online store are carefully packed in our Love Luxury packaging. Pre-owned luxury items may be delivered in its original packaging if available, or in our signature Love Luxury box. Your complete satisfaction is our utmost priority. If for any reason you are not completely satisfied with your purchase, simply return it to us within 7 business days from when it was delivered to you for a one-time exchange. Please contact our Customer Care Team at 6812 2740, or email us at mmeshop@moneymax.com.sg, or visit any of our conveniently located boutiques if you wish to do an exchange. 1. Item must be in its original purchase condition, including the original product packaging, manufacturer’s containers, boxes, warranty cards, manuals, and all other accessories where applicable. All packaging must be unmarked, and not defaced in any manner. 2. Engraved jewellery are final sales, and are not eligible for exchange. 3. Items sold can only be exchanged for other items of its same merchandise category. a) Love Gold jewellery is exchangeable for Love Gold jewellery only. b) Pre-owned jewellery, watches and bags are exchangeable for pre-owned jewellery, watches and bags only. c) Diamond jewellery, watches and bags cannot be exchanged for gold jewellery. 4. Please note that the exchanged item must be of equivalent of higher value than the original purchase, excluding postage fees. Once an order is received, we strive to ship it out as soon as possible so it can reach you on time. We regret that it is not possible for us to make changes to your order once it has been placed and confirmed. Before you confirm the order and make payment, kindly check to ensure that all details are correct. If an item delivered to you is damaged, please refuse the shipment. You may contact our Customer Care Team at 6812 2740, or email us at mmeshop@moneymax.com.sg, where our customer service team will assist you. If you have already accepted the delivery, kindly retain all relevant packaging materials along with the product in its original condition. Claims for damaged or missing items should be reported within 1 working day upon the receipt of your order. Returns can take up to 14 working days (excluding weekends and public holidays). Once received, we will examine and advise you accordingly within 5 business days. In the event when the product returned is not damaged, we may at our discretion decide not to replace, repair or refund for the product, and/or require you to pay all reasonable delivery and servicing costs. A discount coupon code refers to a specific discount given to offset against your purchase amount. The coupon is restricted to its terms and conditions. Enter the discount coupon code into the 'Apply Discount Code' box upon checkout. Kindly check the terms and conditions before entering the code. Love Luxury by MoneyMax’s Sell Back feature allows you to find out the estimated value of your valuables at your convenience, anytime, anywhere. Customer Service Team within 3 business days! What assets do you accept? We provide a quick and easy solution for you to sell your items for cash. We accept valuable items ranging from precious metals like gold, diamond jewellery, luxury bags and timepieces from selected brands. How will I receive payment for the item I intend to sell? Upon successful review of the item, our Customer Service Team will advise and arrange for an appointment at one our Love Luxury by MoneyMax boutiques where our valuer will further check the item before offering a cash payout. How do you determine the price of the item? Along our vast knowledge and extensive network in the industry, we are able to offer a competitive payout for valuables to our customers. Some factors affecting the valuation of the item include the brand, market demand and trends, and condition of the item.